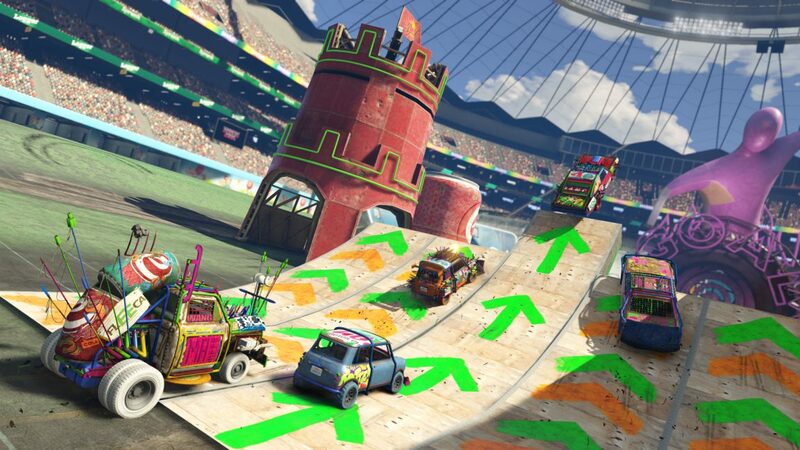 Fire up your PC or console and hop into a fun-filled week of RC Bandito Races in GTA Online, and give the Arena War Creator a try. There seven RC Bandito Races this week in GTA Online which take you to locations such as Fort Zancudo, Paleto Forest and Vespucci Pier. All the races will earn you double goodies this week. Matter of fact, all 15 RC Bandito Races will be awarding double GTA$ and RP through March 6. While that sounds like fun and all, Rockstar has also released the Arena War Creator. Using any of the Arena Contender vehicles, you can create your very own Arena Vehicle Deathmatches and Arena Races using the Future Shock, Apocalypse and Nightmare styles. You can even set special lighting rigs and arena props. Additionally, After Hours vehicles such as the Pegassi Oppressor Mk II and the Declasse Scramjet, are now available to use in other Creator modes. Have a look at all vehicle prices, upgrades, modes and gameplay available in Arena War through our hub page. The studio also added the ability to remove fixtures in the Race Creator. After placing a checkpoint in a race, all you have to do is use the Fixture Removal tool in the Placement Menu. This will allow you to remove up to 25 items from the map including road signs, lamp posts and more. If you need some inspiration or help getting started with any of the creation tools, check out Rockstar’s updated Creator Guides on Social Club. If that weren’t enough, you will also earn double pay and rank in all Contact Missions, Rockstar Stunt Races and Hunting Pack (Remix) this week. Even Bodyguards and Associates will earn a double Salary bump. Everyone likes a salary bump. Freemode Business Battles will also earn you a chance at crates featuring unique Radio and Vehicle manufacturer tees and GTA$50,000. Finally, the Grand Theft Auto Online: Arena War official soundtrack will be available this Friday, March 1. Nothing like a new set of jams to rock out to. Hit up Rockstar Newswire for additional information along with a list of this week’s discounts.